This level is little big and have 81 candies board with 18 jellies and some are in meringue block plus also have 9 grill boxes. 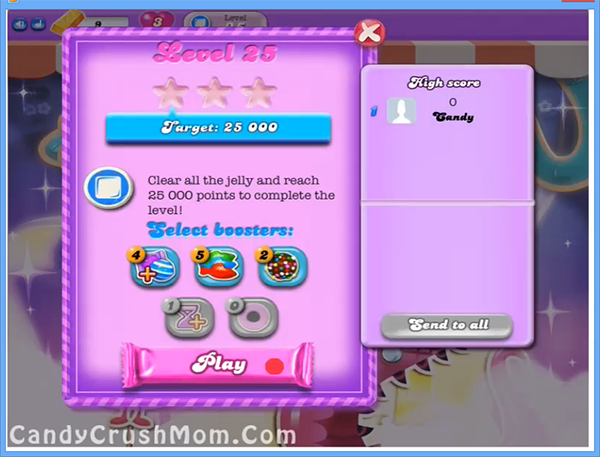 To complete this level you should try to break grill boxes then meringue blocks so you can have more chances to play with candies and can make more special candies like colorbomb by combining five same color candies and try to combine special candies with each other. You also have to play more with candies that Odus owl have to make full moon power and don’t forget balance the owl. We completed this level with 354360 three star score by making two bombs and within 9 moves plus remaining move converted to fish booster that help to add some points on score board.